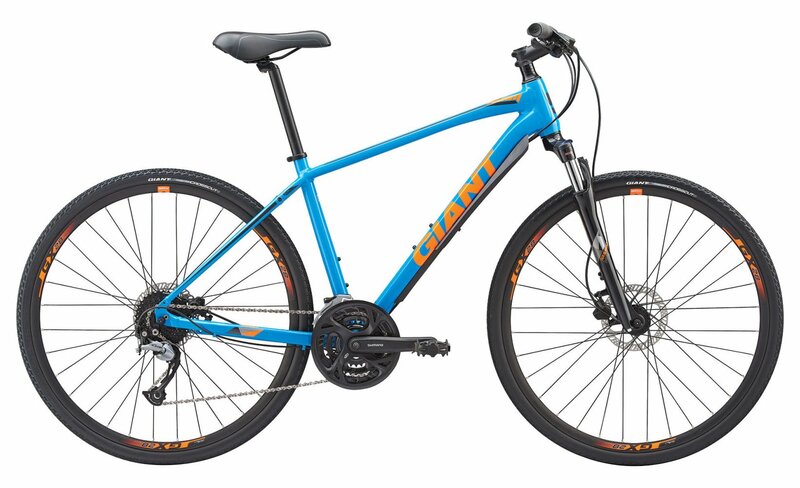 The Giant Roam 2 feels just as comfortable on dusty and rough bike paths as it does on smooth and dry paved roads. The bike boasts an awesome list of features making it a great deal for the price. Ride anywhere you want efficiently and with confidence with the 2019 Giant Roam 2. 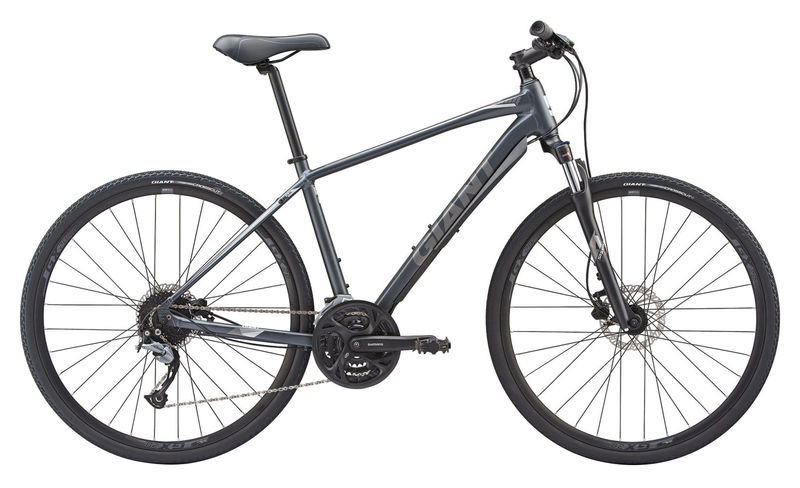 The Roam 2 features a SR Suntour suspension fork up front which smooths out any bumps in the road ahead of you, 27 speeds which provides you with all the gears you need to make it up the steepest hills, and powerful hydraulic disc brakes which allows you to stop on a dime and control every part of your ride. With its confident, flat handlebar positioning and lightweight ALUXX aluminum frame, the Roam Disc gives you all the best qualities of a mountain bike and a road bike and the fast rolling 700c wheels can handle smooth roads or dirt, making it a great choice for town-to-trail adventures.